Hello world ! 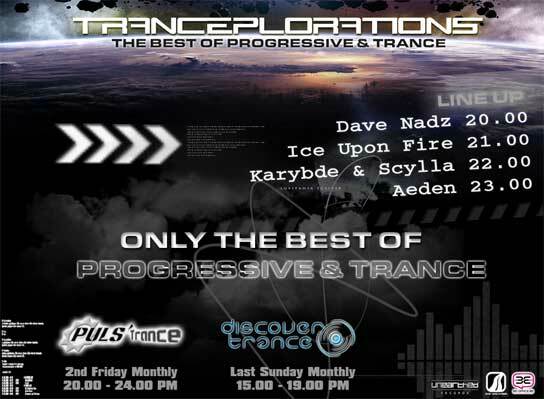 I'm proud to be part of a special episode of Pure Trance Pleasure. Indeed, Karybde & Scylla celebrate the 150 episode of the show, 6 years playing playing good stuff on the air now broadcasted on afterhours.fm ! So my guest mix for this special event is now available as a podcast. Broadcasted - 14/09/2012 - More infos. We'll do a little game, guess the tracklist and send me your result at contact@iceuponfire.net at the end of the event. 1 track = 1 point. I'll send to the one with the most points the entire "Move Forward" pack including Tranceye et Para X remixes + some other tracks played during the event !